Networking is process done when two computers are connected together, they can be connected through Cables, through Telephone lines or through Wireless. The basic components needed to start networking among multiple computers are Networking Software, Networking Card, Networking Cable, Router/hub/switch and computers are needed to create a network. In network computer serves one of two purposes, it either offers its resources or either it uses the resources offered, the one offering is called server computer and the user one is called client computer. There is no difference in client or server computer in practical but servers are more powerful, with long durability and more managed space. 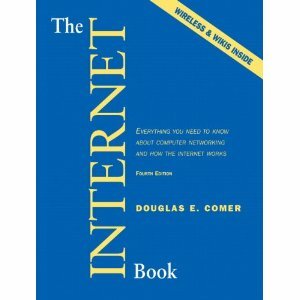 Internet Protocol was developed in 1974. Its basic function in OSI model is to deliver Packets (transport layer) from its host to destination by provided address. The IP Address is assigned number to each device in 32bit (IPv4) and 128bits (IPv6) manner it helps discover different PC’s in a network. Dynamic Host Configuration Protocol helps network communicate in IP network as DHCP configures devices in such manner. In a LAN the Router is set as Server and personal Computers and printers are set as its clients. The information requested to DHCP during a network transmission is of IP address, Route and info of DNS server. The DHCP also separates External and internal IP addresses. The bad aspect of DHCP is that it has no Authentication system, so its more likely to be offering attacks. NAT enables multiple computers connected to a same network use only one IP address which saves the IPv4. It was developed by international Standards Organization to simplify and give person a quick overview of how network works, the layers describes and the model made is still applicable and still use to describe Basic Network system because its so simple. Second layer is of Data link layer and it describes how the personal computer will choose a path and what possible errors it can get into. The main uses of Data link layer is of error, access, flow control and physical addressing is also in Data link layer. Network Layer is what deals with routers and describes functional means of transferring data from sender to receiver. Transport Layer is layer intended to carry out transport of Packets and their quality control is controlled by Transport Layer. Session Layer is layer concerned with reception of packets and control of data receiving. Presentation layer receives the data and decodes it in it’s real form and prepares for presenting it. The application layer is the last layer and in this layer the data is presented to screen of the receiver and delivery report is sent back. This content is brought to you by Test4prep.Are you seeking for this 1Z0-451 assistance? Let,s get the advantage of 1Z0-533 and pass your IT certification exam on first attempt with 100% money back guaranty.